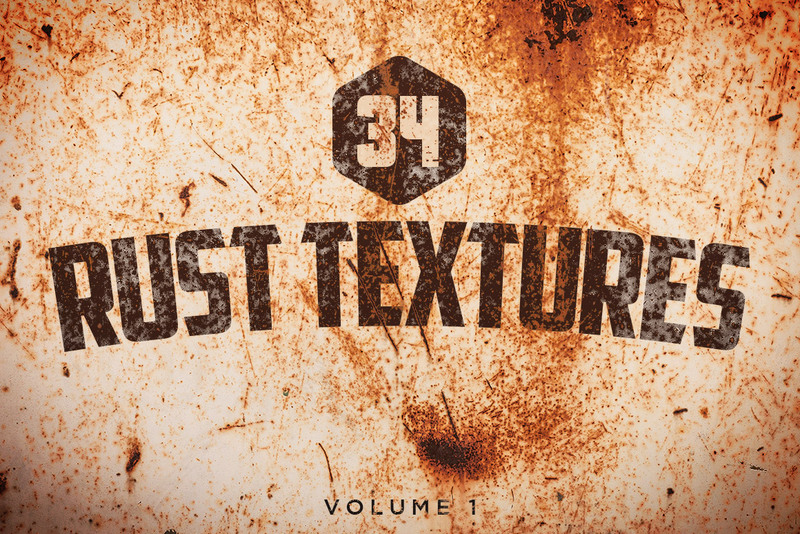 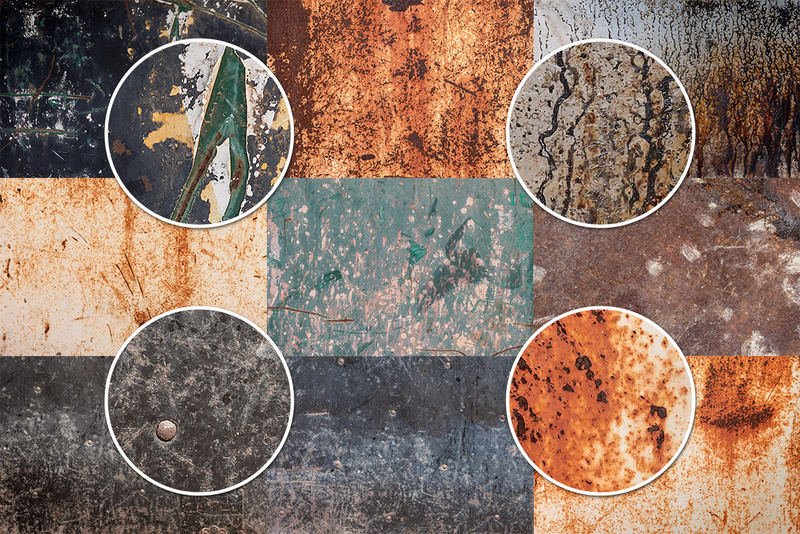 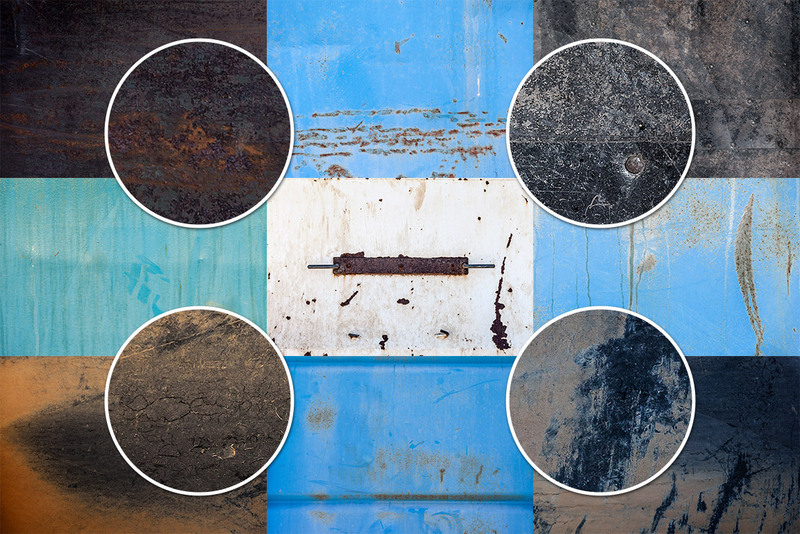 This pack contains 34 super high resolution rust textures to give your designs some grunge. 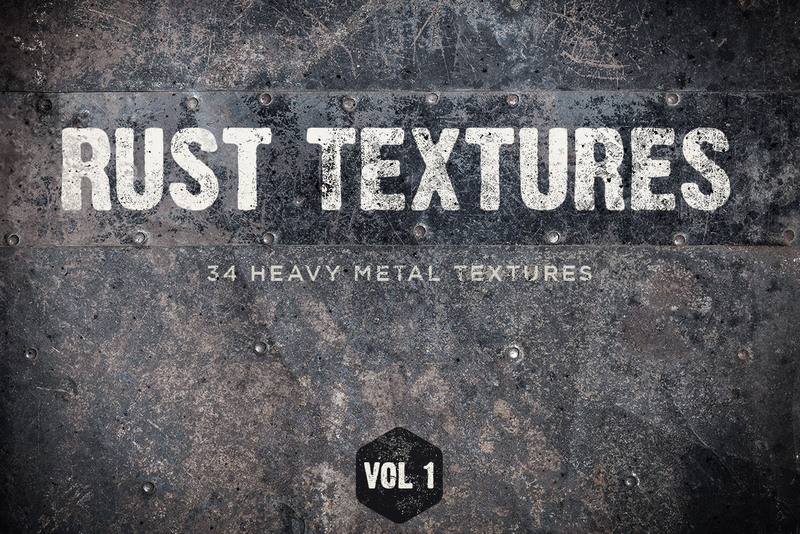 Almost every texture in this pack is a whopping 5,616 x 3,744 pixels in size. 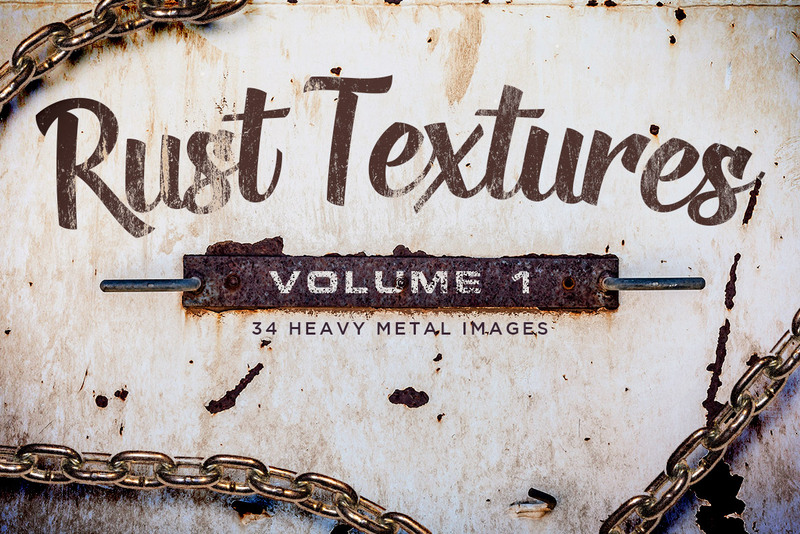 They work perfectly as backgrounds and overlays, and can also be used as Layer Masks to add texture and depth to any type of layer. 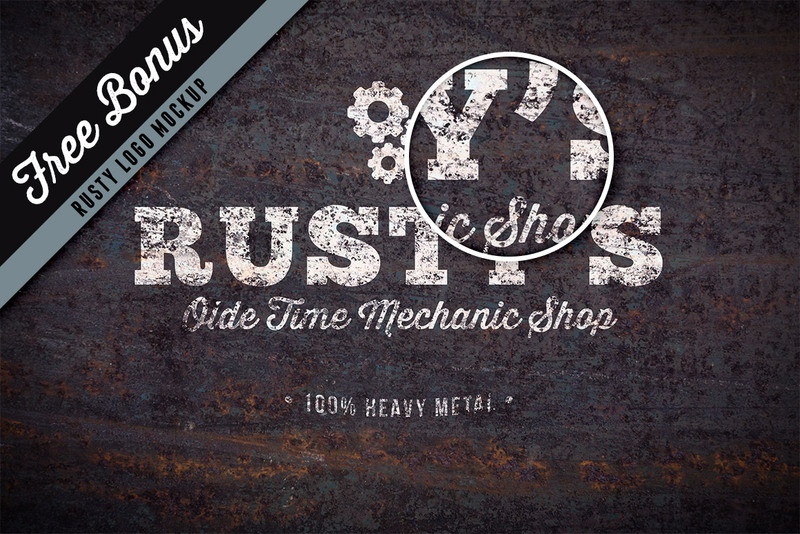 You'll also get a bonus "rusty logo mockup" utilizing Smart Objects. 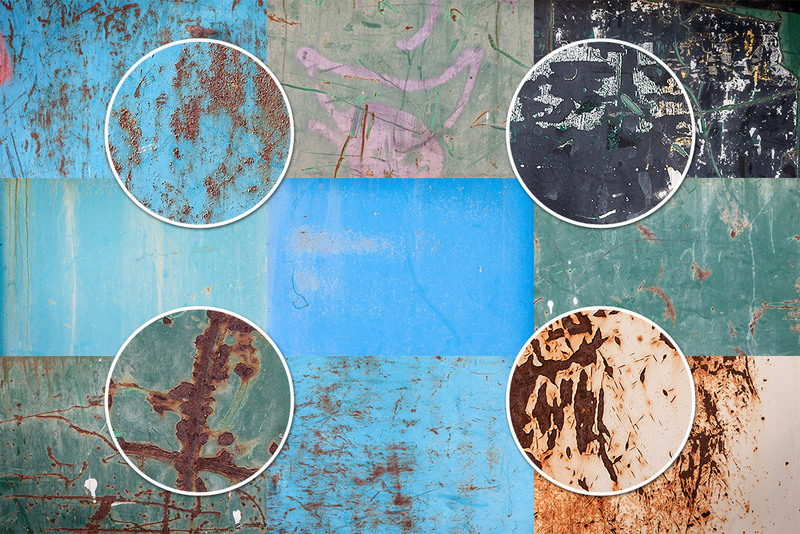 Just copy and paste in your artwork and the mockup automatically updates.